What exactly is this condition? Even though the name of this condition sounds like something out of this world and fearful, most of its punch is mainly in appearance. It is really not harmful, simply a misbalance of bacteria and fungus that takes place in the mouth. Here on the Rightdiagnosis.com website, you can see some statistics about its occurrences. It does affect just under 200,000 people in the US, and occurs when there is a buildup of yeast in the mouth. The dark color that you will be alarmed to see is simply the result of this bacteria, or papillae, that creates the uprisen hair and black appearance. Black tongue is one of those conditions within the wide realm of the medical world of which even professionals haven’t nailed down exactly what causes it. We understand that when you may look into the mirror and be very surprised by this condition, you will want to know exactly what to do immediately to assure that it doesn’t continue. Since black tongue is usually accompanied by very bad breath, you may feel is if you have been hitten by a double whammy of a freight train, and immediately feel overwhelmed. Here are some things that professionals have determined may increase your chances of getting this condition. • Antibiotics – When these are used to rid the body of infections, sometimes they kill of bacteria that is in the “healthy” category, that regulates yeast. When this high level of yeast is left behind to fend for itself in the mouth, it may aid in developing black tongue. • Use of other medications – Those with severe stomach difficulties or diarrhea may take medications that contain bismuth, that helps stop irritable bowels and some cramping. This medication is also known to produce bacteria, and could trigger the condition. 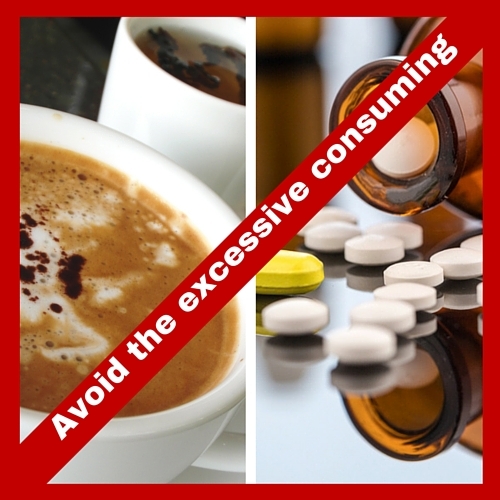 • Too much caffeine – Even though it may not be as much of a culprit as antibiotic use, it has long been thought that too much coffee, tea, or carbonated beverages containing caffeine could contribute to the occurrence of black tongue. • Use of mouthwash – If you start to use these with much frequency to aid in the fight against bad breath and germs, these contain oxidizing agents like peroxide. Even though it is not known exactly how it affects bacteria and yeast that leads to black tongue, it is thought that it may be one of the causes of the condition. • Tobacco use – Smoking is one of the habits that hurt the body in many ways. On top of being dependent to nicotine, yellowing your teeth, and affecting your pocketbook, smoking is one activity that could lead to this unwanted condition. • Dehydration – Simply not drinking enough water weakens the body in general, and affects the ability to fight yeast causing bacteria. • Certain personal care products – Some skin and beauty aids that contain hazel and menthol may contribute to black tongue, because of their ability to misbalance bacteria and throw it off like antibiotics. It may not be as high on the list of things to avoid as bismuth, but can be something to minimize if you really don’t want to end up with this condition. The telltale symptom of this condition is the appearance of the fuzzy black element that looks like a growth on the tongue. One frustration that many experience who have this condition is that during the buildup that leads to the fuzzy appearance, you may not have any warning signs at all that your body is fighting (or losing) the battle against yeast. In some cases, the patient may feel a slight tickling sensation in the back of the roof of their mouth, or a metallic taste in their mouth. During some severe outbreaks, some have complained of nausea and a metallic taste lingering in the mouth. 1. Brush Gently: When brushing, it is best to complete a regimen that is about twice a day, and brushing in circular slow motions. Also brushing on the tongue will help in ridding yourself of the infection. 2. Using Peroxide as part of the fight: You can prepare a rinse that is on part hydrogen peroxide, and four or five parts water. Make sure not to swallow it, but let it bubble up and disinfect those areas of your mouth. After you do this, just rinse with a pure and unadulterated water. 3. Keeping your stomach at bay: Remember, the medications that work as anti diarrheal may be the cause of black hairy tongue. If you are experiencing diarrhea and cramping, maybe just some ginger or tums could cure what ails you without the added dose of Bismuth in your mouth. 4. Add roughage to your meals: Foods that are of softer consistency can stick around on the tongue a bit longer, and give that unwanted bacteria a chance to breed. Offerings like lentil soup, legumes, whole grains and nuts, apples, and pears are all in this category that can keep things moving through your mouth and straight into your digestive tract.